Contemporary paintings, where does the inspiration come from? 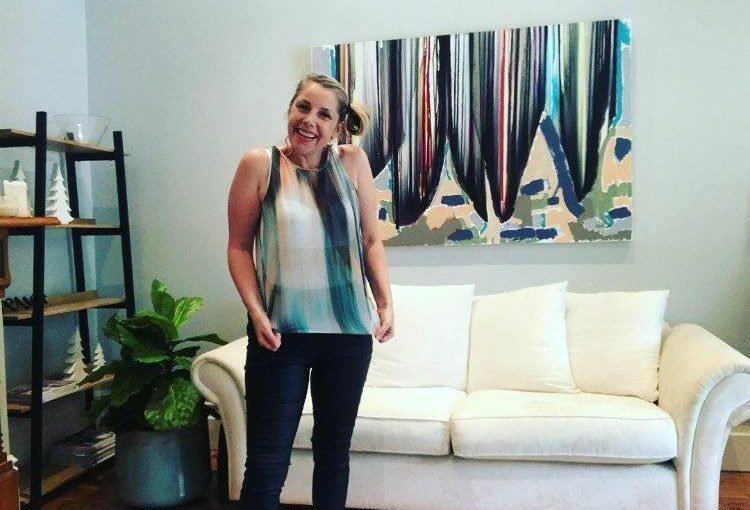 Well Adelaide Artist Sarah Jane got her latest colour inspiration from an Arthur Galan top. Yes you heard right, her latest painting “Orca” was a result of fashion. The end result was a colourful fun painting with many different shades of colours that represented every spectrum of a rainbow. The colours streamed side by side in a vertical direction within a barrier of black that was the outline of the theme of the painting being Orcas. As Adelaide Artist Sarah Jane loves abstract concepts, strokes of blue, olive green and taupe where used around the Orcas in an attempt to represent the ocean, plant life and sand respectively. Diving into the depths of the ocean this modern abstract painting is all about nature and things maritime.